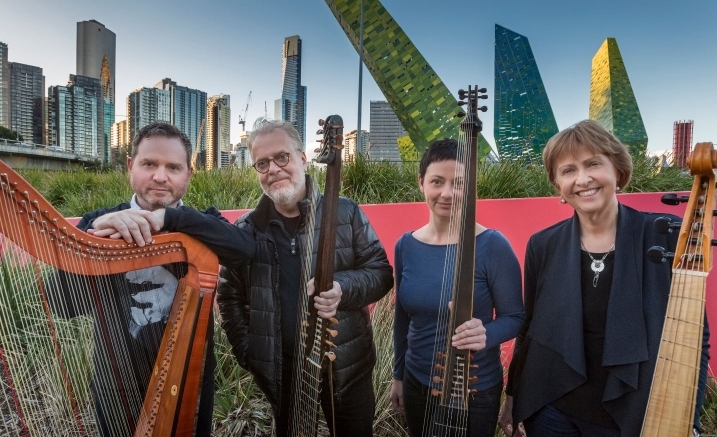 Ludovico’s Band is one of Australia’s most dynamic Baroque bands acclaimed for its performances of music from the 16th to the 18th centuries. The combination of multiple plucked string instruments with soaring violins and a rich bowed bass creates a unique and exotic sound world. Purcell’s great masterpiece Dido and Aeneas packs more into its 60 minutes than should be possible. The tragic tale of the ill-fated lovers is told through arias, duets, choruses, danses and laments, with a cast of sailors, witches, spirits, heroes and villains. In partnership with the extraordinary students from the Victorian College of the Arts Secondary School (VCASS), and with guest soloists Sally-Anne Russell (Dido) and Bethany Hill (Belinda), Jacqueline Dark (Sorceress), and Jeremy Kleeman (Aeneas), this is a rare performance of this exquisite, beautiful and powerful work. A Transaction Fee between $5.50 and $8 applies to orders made online and by phone. A Delivery Fee of up to $5.50 may also apply. Click ‘Book Tickets’ below to enter your promo code on the following page. © 2019 Melbourne Recital Centre Pty Ltd. Please note, to remain up to date with the latest security standards, this version of your browser is no longer supported. We recommend updating your browser to the latest version of Google Chrome, Mozilla Firefox or Safari for the best online experience. Apologies for any inconvenience caused.